Carnival Party @ Circolo Roma Istanbul! "Anche quest'anno non cercheremo di sostituire il Gran ballo di Carnevale, al quale siamo stati abituati, ma almeno di ritrovarci per festeggiare assieme! Non è d'obbligo il costume ma indossa una maschera! We will not try to replace the Gran ballo di Carnevale, which we are used to, but just try to celebrate this year also! A costume is not required but at least wear a mask! For more informations on the event please write to info@circoloroma.com ". Dj-ing around Istanbul - December 2016. For more gigs, follow me on fb. I'm also available for world wide weddings, private parties and more. Hit me up. Dj-ing around Istanbul - November 2016. Here's some of my next gigs. If Istanbul is too hot and humid these days, I'm bringing the music and vibes to cool you down! From Hip Hop to Reggae, from Ska to Rock'N Roll, from R&B to Dubstep, I've got it all for you. 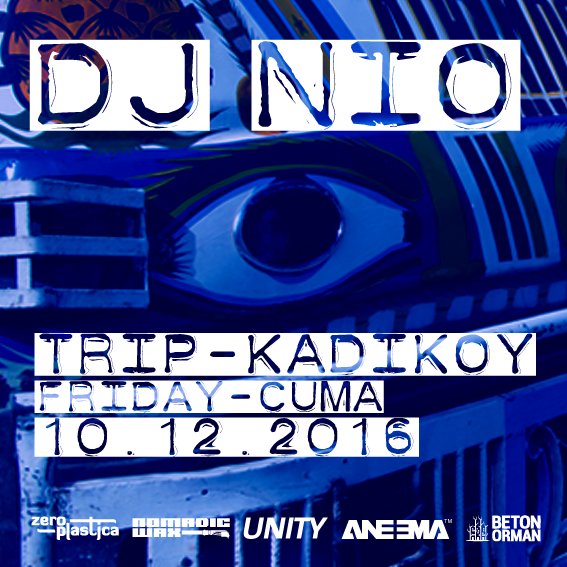 See you at Muaf on wednesday night and at Trip 2.0 on friday! FREE entrance! Buyrun!!! I'm playing some cool music at Ziba Pub on Friday, 24th of June from h.21. I'll be going down with a lot of different styles and sounds from all around the globe.